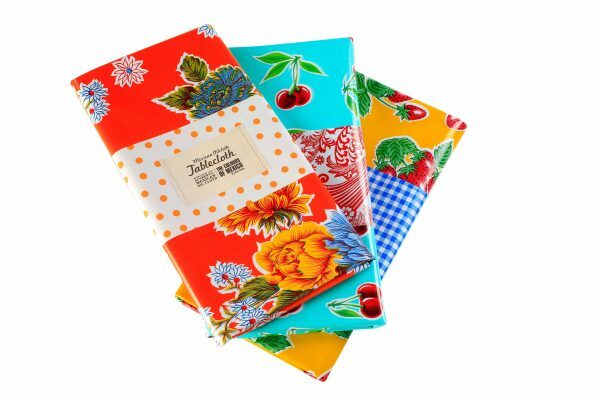 Set of 6 Mexican Oilcloth Tablelcloths, individually wrapped in a contrasting Mexican Oilcloth belly band. 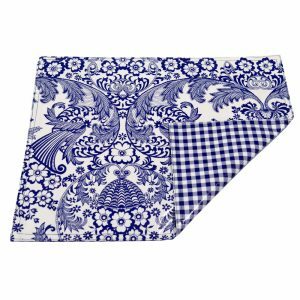 Tablecloth size – 120cm x 120cm. Mexican Oilcloth tabelcloths are waterproof. 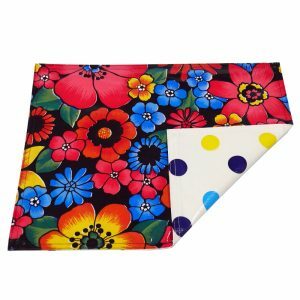 Low Maintenance – wipe clean with a damp sponge. 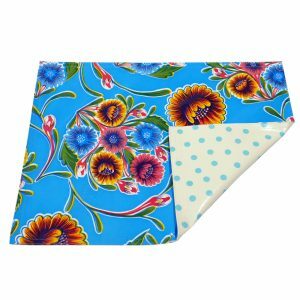 Mexican Oilcloth is 91% PVC, 6% Polyester and 3% cotton.